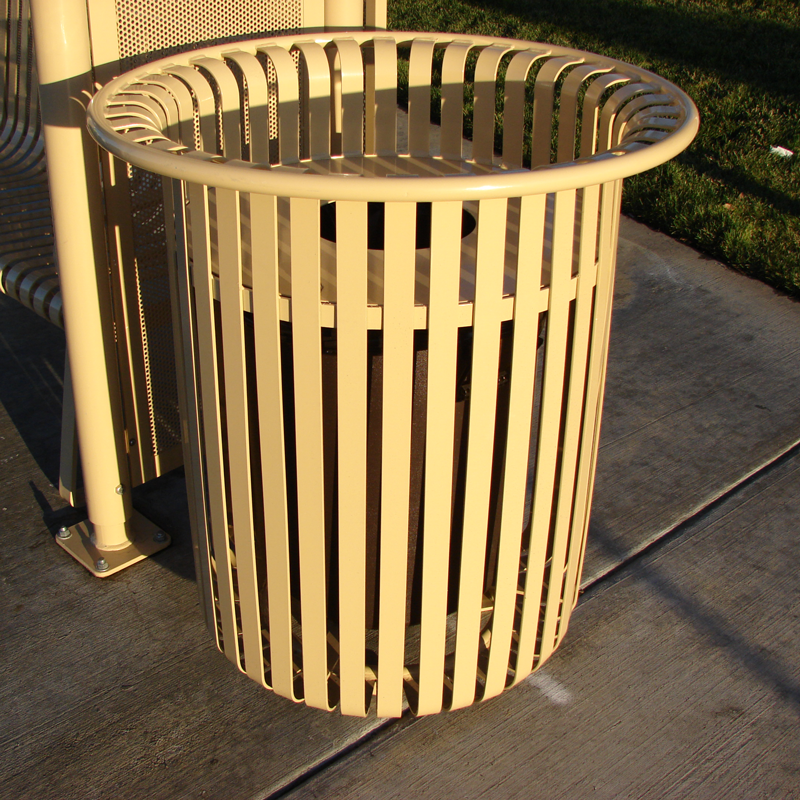 Even our trash cans are stylish! 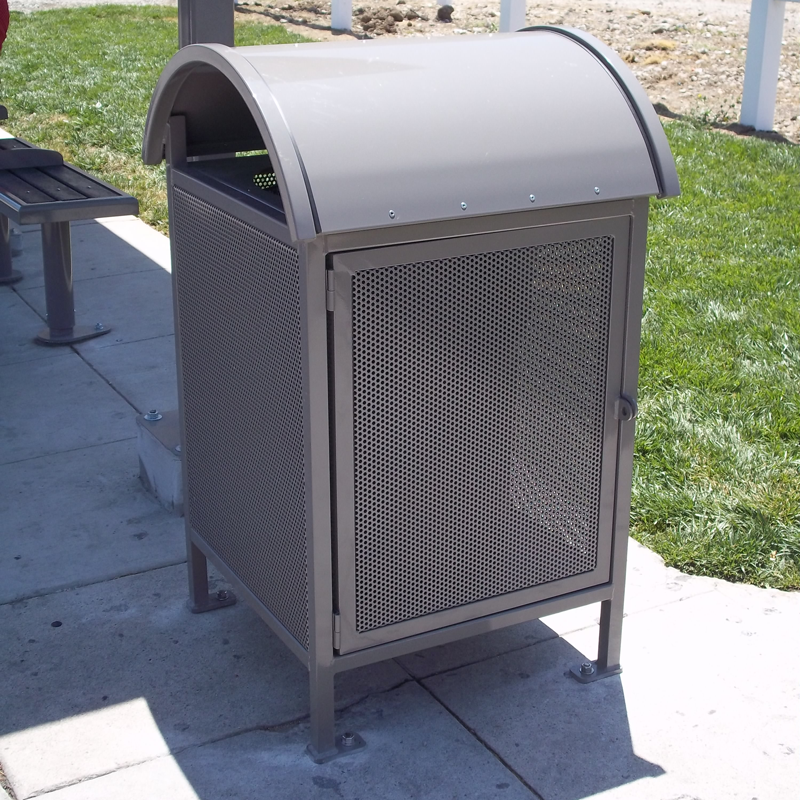 You’ve got the weather-protecting transit shelter, the comfortable seating, the important passenger information displays and you’ve even added revenue-generating advertising options. 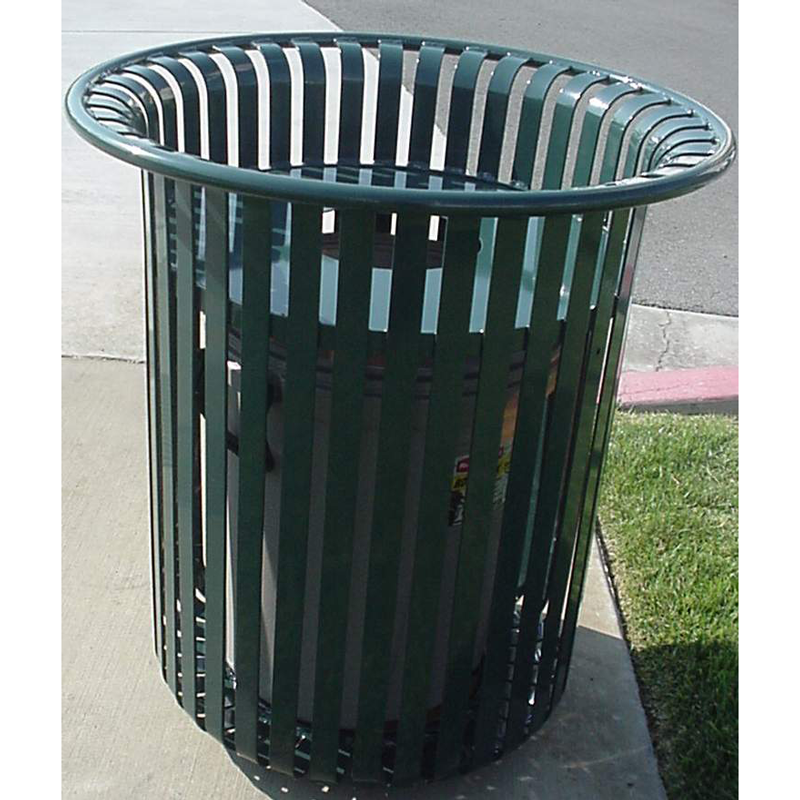 Don’t forget the trash receptacles and be sure to add a recycling option too. 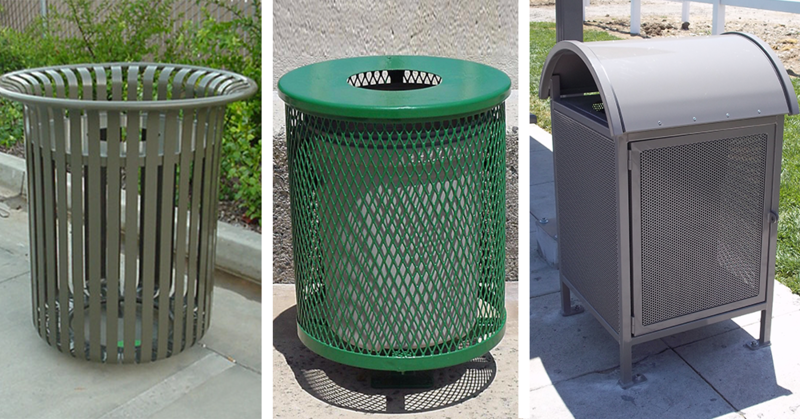 From cylinders to pole mounted to traditional – we’ve got your trash covered! 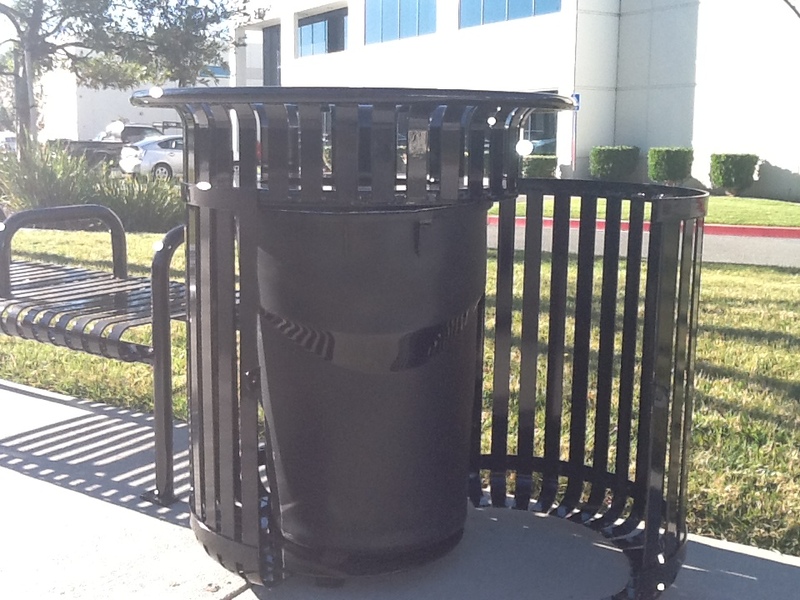 30 Gallon wire grid trash receptacle with pedestal mount, lockable lid and steel liner. 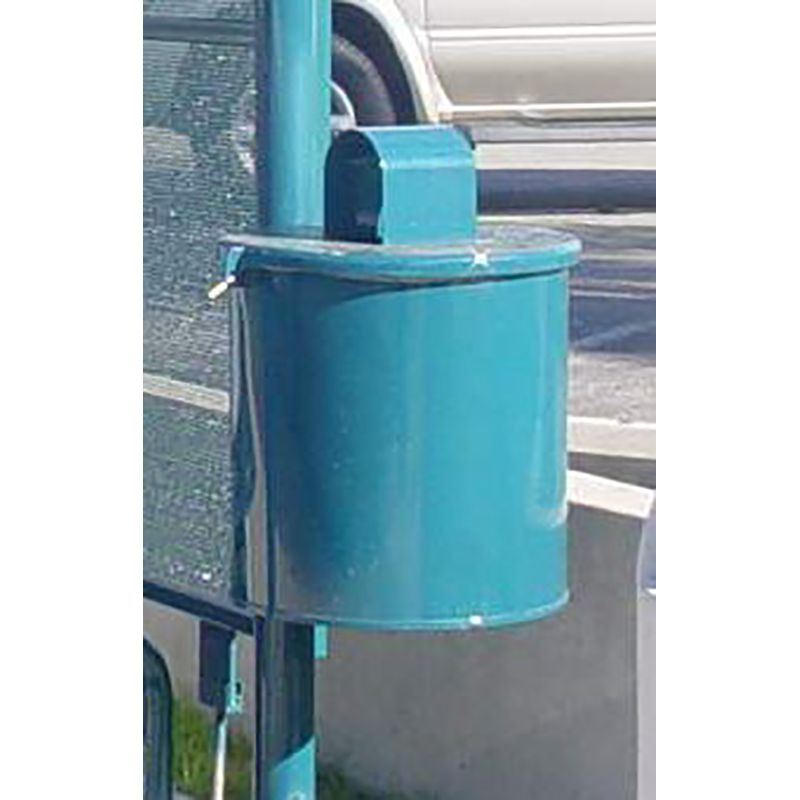 20 Gallon pole mount, to shelter post, smooth side steel trash receptacle with hinge and covered lid. 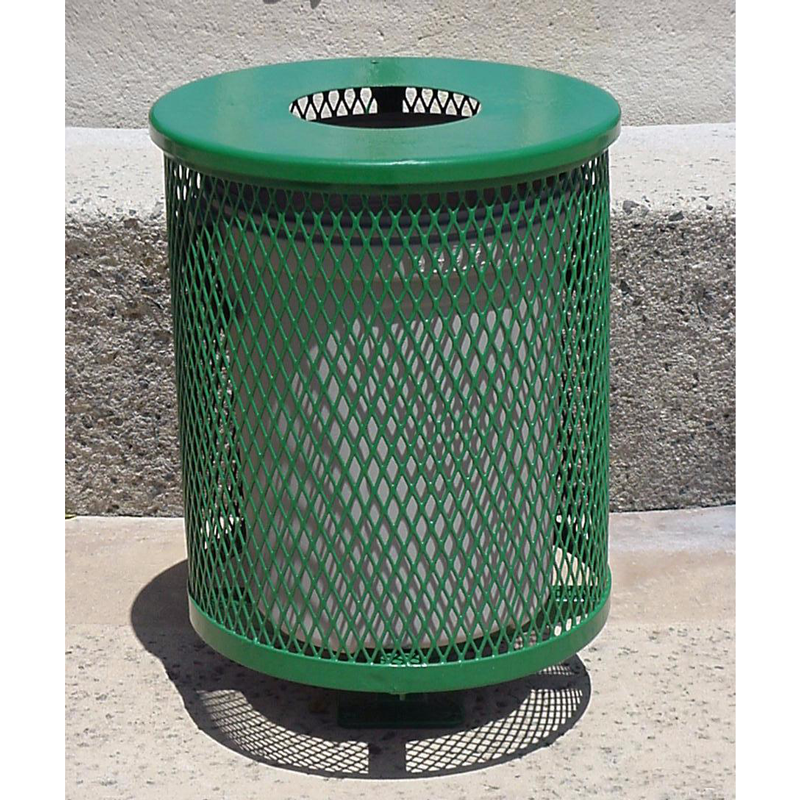 32 gallon perforated metal trash receptacle with hinged lid and hard rubber liner. Available with optional rain deflector. 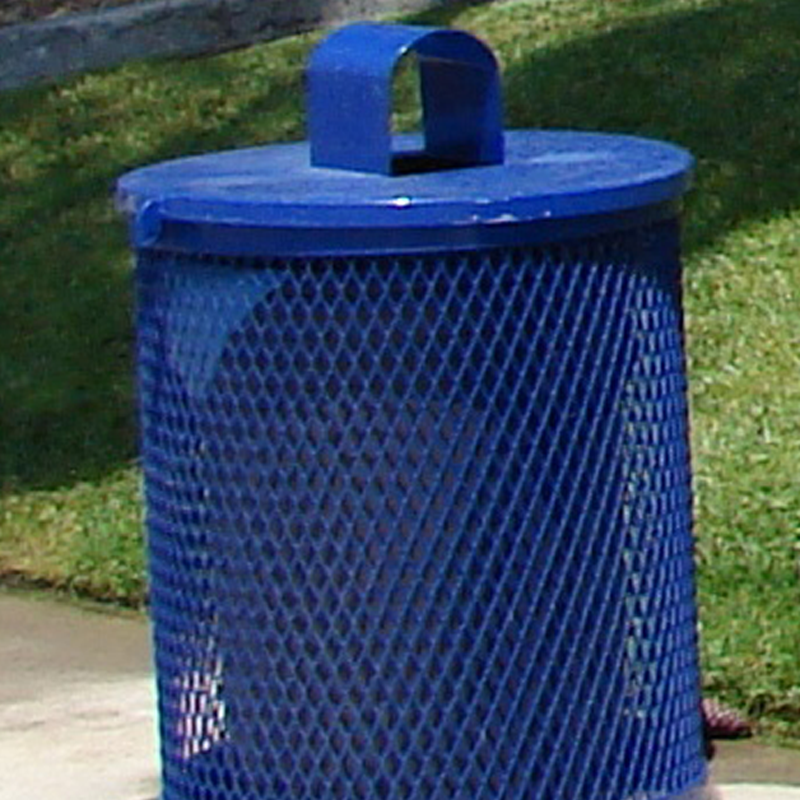 32 gallon square perforated metal trash receptacle with radius dome lid and hard rubber liner. Includes hinged door for ease of liner removal. 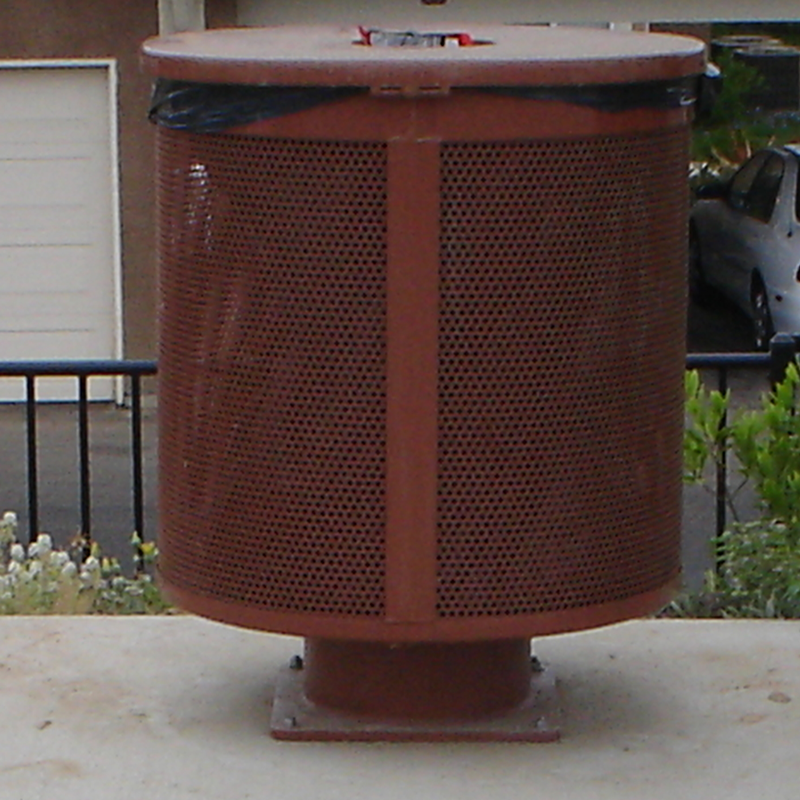 32 gallon expanded metal trash receptacle without pedestal mount, with hinged and covered lid. 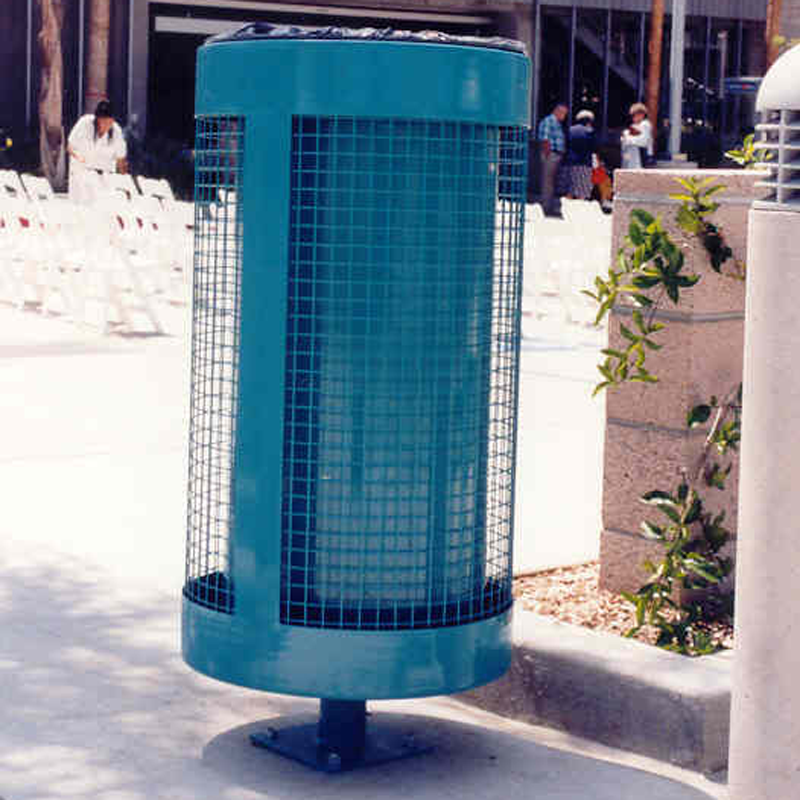 Also available with pedestal. 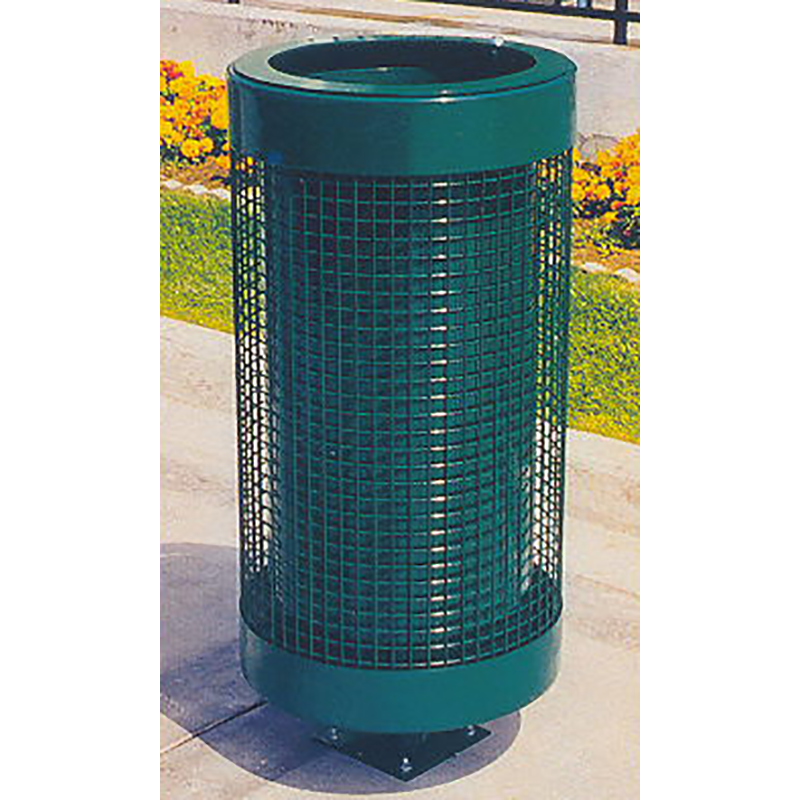 32 gallon expanded metal trash receptacle with pedestal mount. 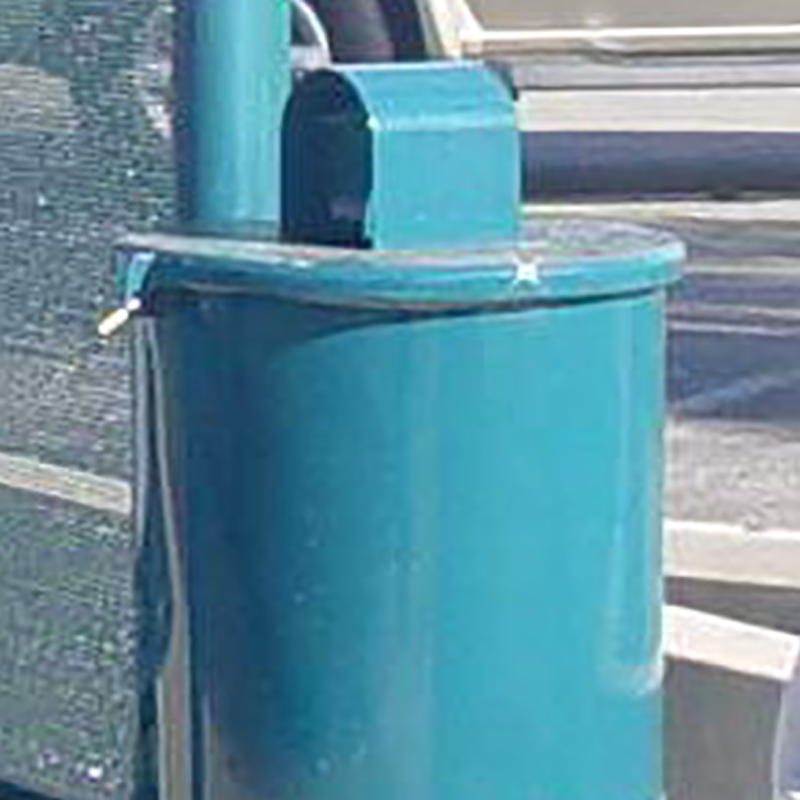 Also available without pedestal. 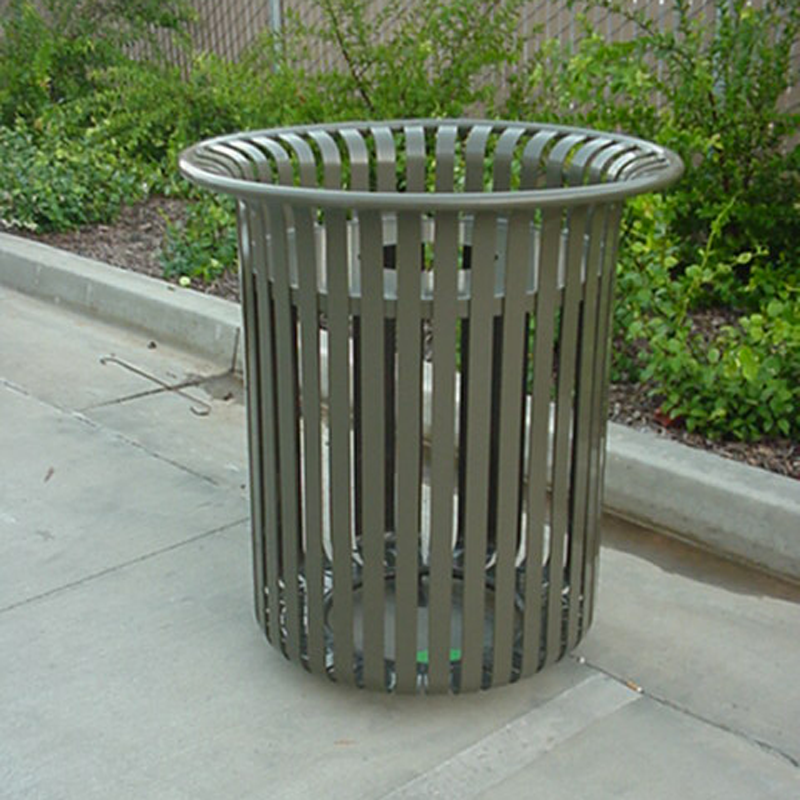 32 gallon steel strap trash receptacle with hard rubber liner, secured lid and hinged door for ease of liner removal. 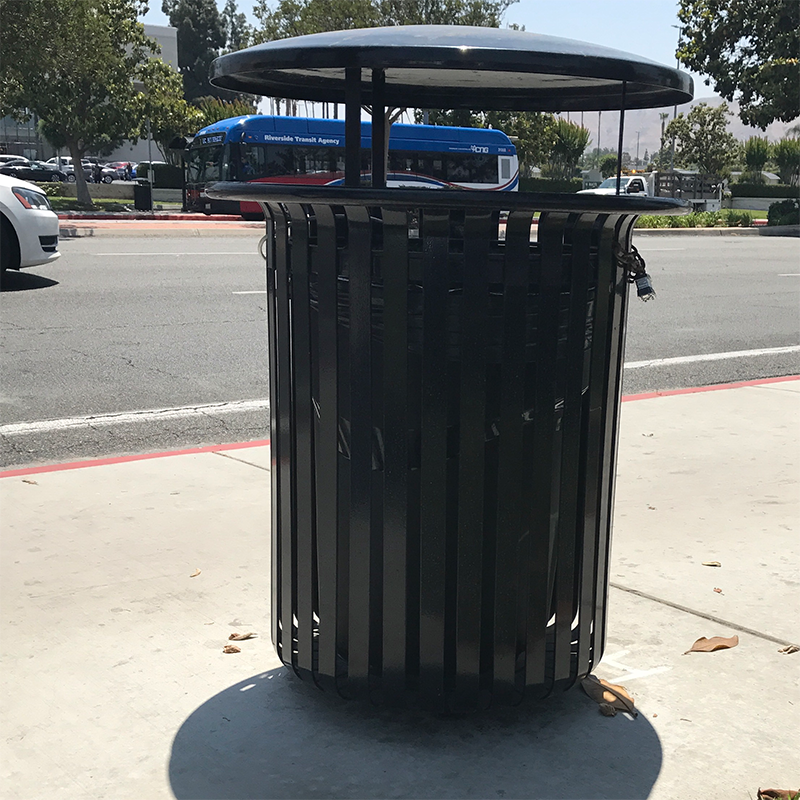 32 gallon steel strap trash receptacle with hard rubber liner, rain deflector and lockable lid. 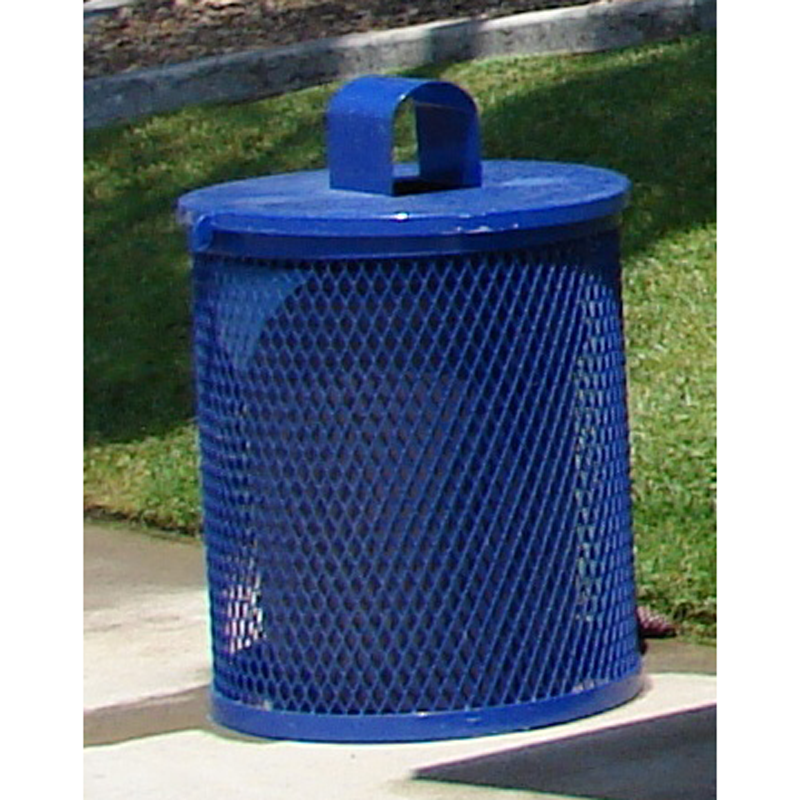 32 gallon steel strap trash receptacle with hard rubber liner and lockable lid.